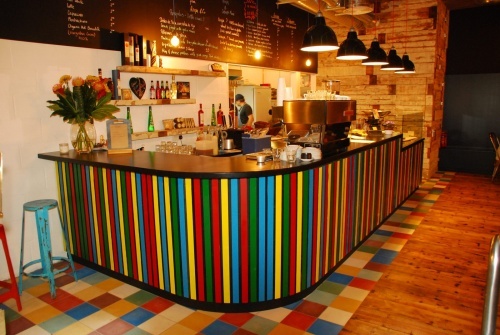 Arepa & Co, Venezuelan dining (Restaurant) | What's Hot London? 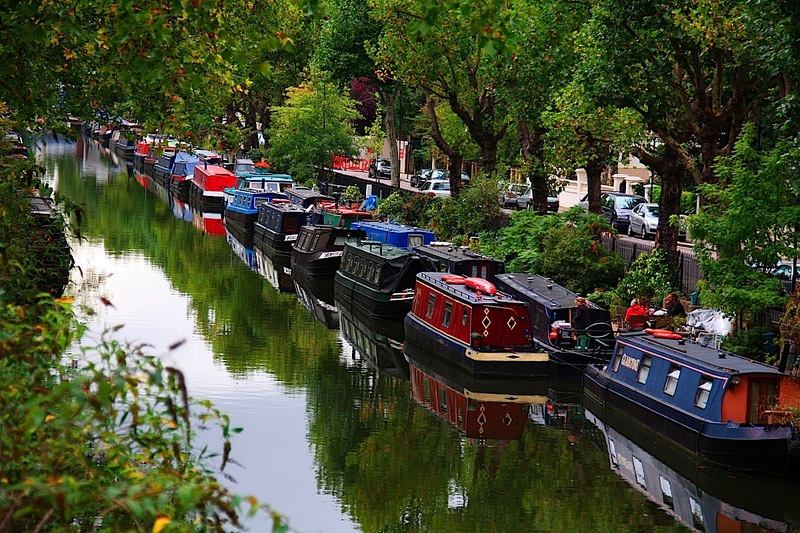 It may not seem the weather for it but canalside dining is the perfect antidote for a British winter. Add Venezuelan cuisine into the mix and that’s sunshine South America by way of Haggerston, East London. Certainly, as soon as you enter, the huge welcome message of ‘Bienvenidos’ above the rainbow-coloured counter will lighten up many a bitterly cold 1st day of the month. The cosy-looking hammocks strung up around the place are similarly striped. The yellow napkins nosing out of all the glasses on the dining tables a further reminder that everything’s about to buoy up. If you have no direct experience of South or Central American culture in general and Venezuela in particular, the menu choice may prove a challenge, but a pretty mouth-watering one. The nation’s staple grab-any-time meal is the savoury Arepa, from which the restaurant gets its name. Also popular in neighbouring country Colombia, this ground maize dough or cooked flour wrap can be filled with avocado, cheese and cuajada (fermented milk) to name a few. Another staple to be aware of is the popular Cachapa, a type of cornflour pancake eaten with toppings rather than fillings. Yuca is the edible root of the cassava from which chips are made but smothered in garlic and parsley sauce Venezuela-style. Pabellon Criollo is the Venezuelan signature dish and a must-order for Venezuela initiates. Coffee anyone? There are macchiatos, expressos, mochaccinos and all the standard fare but why wouldn’t you opt for the traditional Venezuelan Guayoyo coffee sweetened with sugar cane and served without milk. A recommended starter for the health conscious is their invitingly named Ensalada de Palmito y Aguacate, a salad with a sliced avocado centre with palm hearts, mixed lettuce, tomatoes and red onions. Their avocado sauce sounds mild enough but is so fiery it will lift you out of your seat. This sauce comes in a tiny saucer separate from the main dish for good reason. 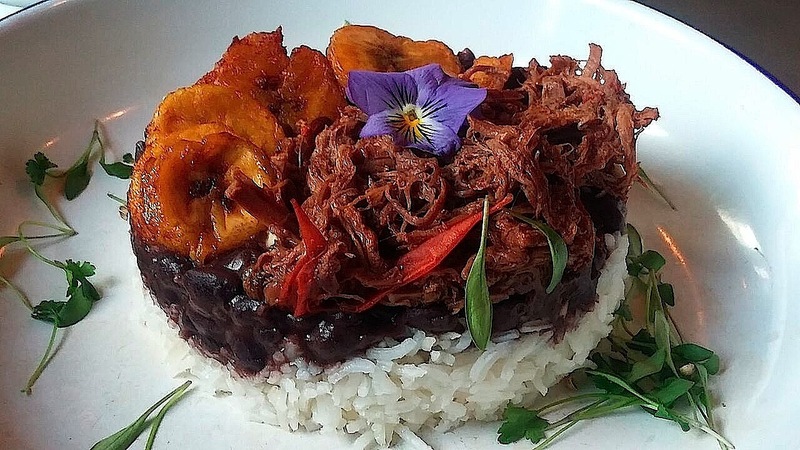 The Pabellon Criollo main dish is a Venezuelan classic worth the South American drum roll – and comes topped with a purple flower. Is it edible? It’s certainly pretty. The rest of this rice, black beans and shredded beef dish didn’t disappoint in the looks and palate department either. The sweet edge of the plantains crowning the dish is perfectly placed beyond the mild white cheese underlay. 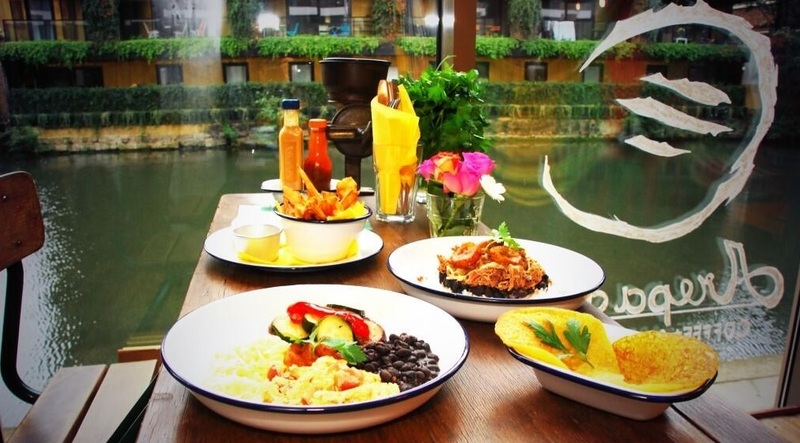 With idyllic views of canal life; ducks, barges and the committed throng of canalside joggers, this Venezuelan café bar is one for the spring-summer dining diary.